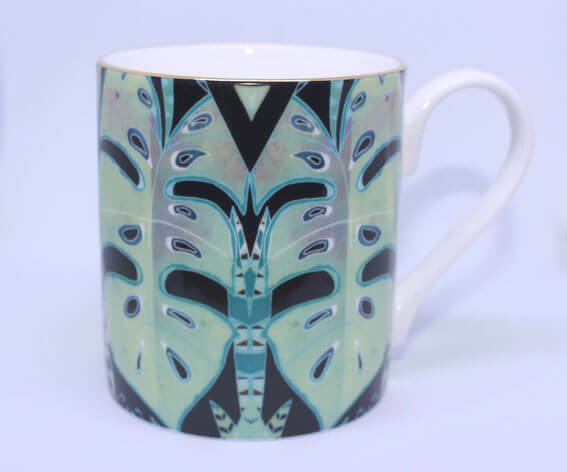 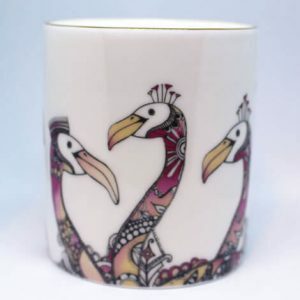 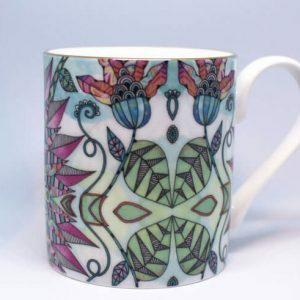 Originally illustrated by hand and coloured with mixed mediums, Hannah uses inks, watercolour, pencils and her very own paper patterns to create these beautifully designed mugs. 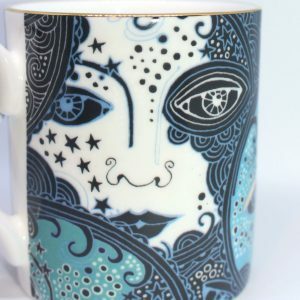 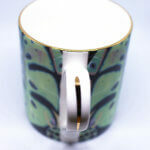 All of the designs are fired in a potters in North England. 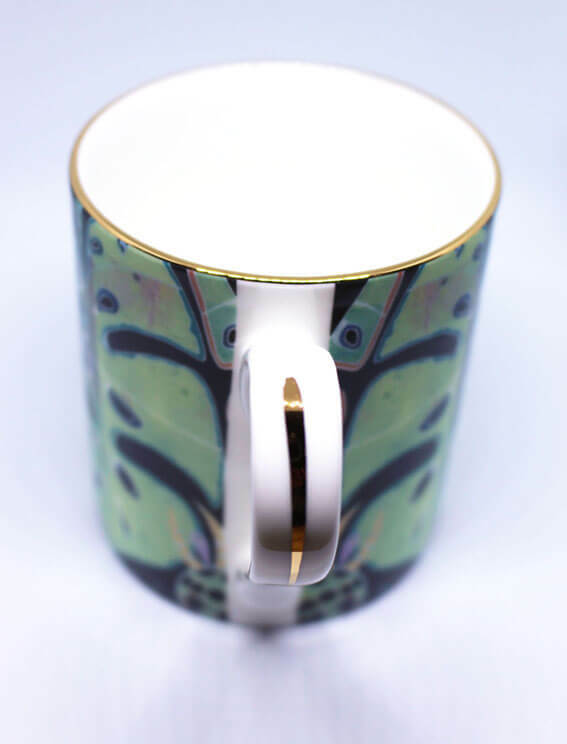 The mug come in a ribbed box and tissue paper.